When you have a tailwind, make the most of it. 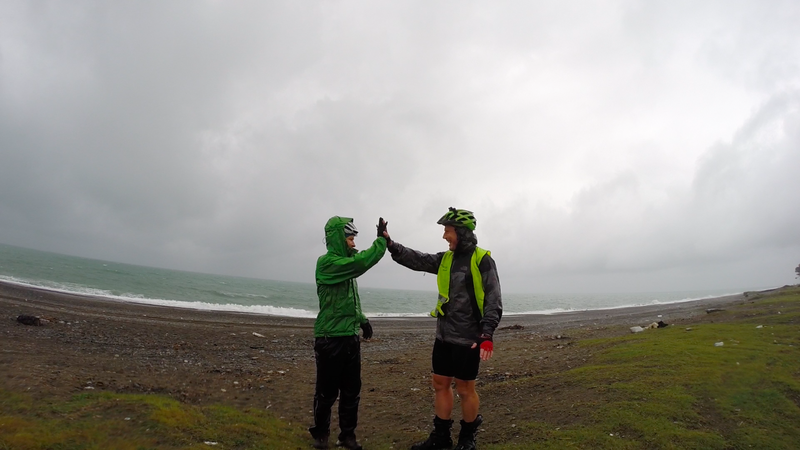 We cycled, blown by the wind, and made some kilometres. We also cycled through the teeming rain, punctuated by stops squelching into a café to warm up, and a short visit at the stormy Black Sea coast. That was kind of it, really. We are seeing signs for Yerevan and Baku. Kind of cool. No more photo opportunities as it was too wet and bloody cold.